Before I was an author, I was a reader. And, one of the things I realized early on is that I prefer books that mix genres over just a single “pure” story. I’m also of the belief that I’m not alone. 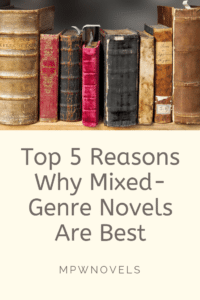 So, as an author who has taken mixing genres to a whole new level (my current Secret of Redemption series combines psychological thriller, mystery, romance, the paranormal, and even a touch of women’s fiction), I thought I’d share my top five reasons for mixed genres being best. 1. There’s a little something for everyone. 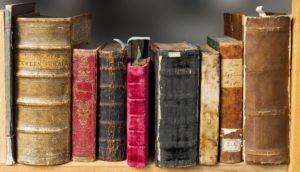 No matter what type of story you prefer (romance, mystery, fantasy, sci-fi) in a mixed-genre book, you’re more likely to find something you like. Better yet, in a mixed genre book, even if you’re not crazy about one of the genres, you may still like the book because you enjoy the other story lines. 2. Less chance of boredom. So, it may just be me, but single story line books can be a little … boring. Especially if I end up reading a few in a row. I think it’s because in most cases, the books are both simpler and shorter. Now, don’t get me wrong. Sometimes I want a simple story I don’t have to think too much about. But, most of the time, I enjoy the complexities of multiple characters and layered story lines, and it’s much easier to craft those books if you’re mixing genres. Just like mixed breed dogs can be healthier than purebreds, novels with multiple story lines also tend to be more robust than the pure versions. What do I mean by a “healthy” novel? The author doesn’t resort to tricks or force to move the plot and/or character development forward. When you’re dealing with multiple story lines, the author has multiple ways to move a story forward, so that *should* (in theory) help the author more naturally tell the story. 4. They’re better for you. Did you know that fairy tales are actually morality lessons? Yes, fairy tales were originally designed to “teach” a moral lesson, but because those can be boring, they were “sugar coated” with a story. In other words, the story helps the “medicine” of a morality lesson go down. As humans, we’re wired to respond to stories. It’s in our DNA. Stories are at the foundation of how we communicate and make sense of the world, and they help us become better people. So, when you read a multiple genre story, there’s a good chance the story has a deeper meaning that could help you become a better person. And, that lesson will be integrated on a deeper level, because it’s a part of a story. I actually love the fact you write in different genres, I don’t get bored with just one genre, but I am going to look into your books, of which I think I have two of, but thank you for the heads up! I too am an author of mixed genres. Not only are they more fun to write, but you have a lot more latitude in the story. I wanted to add a little bit to your comment on fairy tales. They weren’t exactly morality stories, they were recountings of horror. Princesses were almost always sexually abused by fathers first, Dukes and other men of power next, given to a man who was an abuser to be one of the wives and a whole lot more horror. So the women fled, got into an adventure and managed to save their own lives. I studied all about fairy tales as a young adult and because of what they really were, didn’t read them to my children and asked school to send them to the library if a fairy tale was focused on. When they were old enough to understand, I taught them about the real stories and how people changed them to make them cutsie-whootsie for children. If you’ve never read an original fairy tale, I encourage you to. Hi Patti, thanks for responding. I have read the original fairy tales and yes they are quite dark (and grim). What I had been taught when I studied them in college is they represented morality of a different time, not our morality today. And they represented the culture of the time. So you’re right, women were sexually abused and had to save themselves — at the time they were written, women WERE routinely more sexually abused then they were now and the morality was them saving themselves. So yes, they were stories of horror but they were also stories of redemption. I liked this post and immediately signed up to receive the free novella. I like novellas (short reads) to fill in the “blank spots” of my business day. (Blank spots = the time I have to wait because inconsiderate folks are either late or cannot manage their schedule.) I also like free. Self-explanatory. I received a reply noting that I had already registered to receive the novella. This was true. I received “The Secret Diary of Helen Blackstone” previously and posted a review on my blog on 21 October 2018. 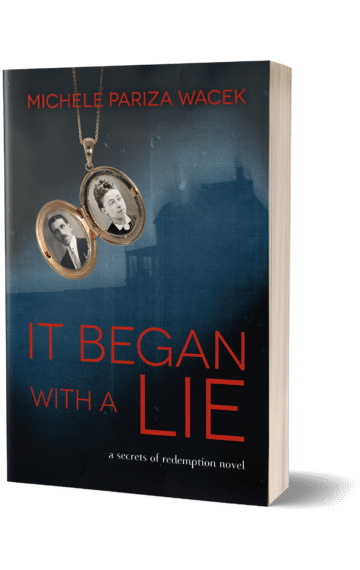 Just a note to say that if the title of the novella were mentioned in this post, I would not have unintentionally responded with an unneeded registration request. Thank you Ronald for posting a review on your blog. I always appreciate that. And no worries about submitting another registration request, that’s why we set it up like that so the system reminds you. Personally, I love mixed-genre books as a reader and as a writer. It’s hard to truly *feel* the stakes when sticking strictly to genre lines. Thanks for writing this!